George R.R. Martin’s been living a life of champagne wishes and caviar dreams since HBO turned Game Of Thrones into a cultural phenomenon, hobnobbing with celebrities and inking TV deals as if there isn’t an unfinished manuscript gathering dust on his Wordstar 4.0. 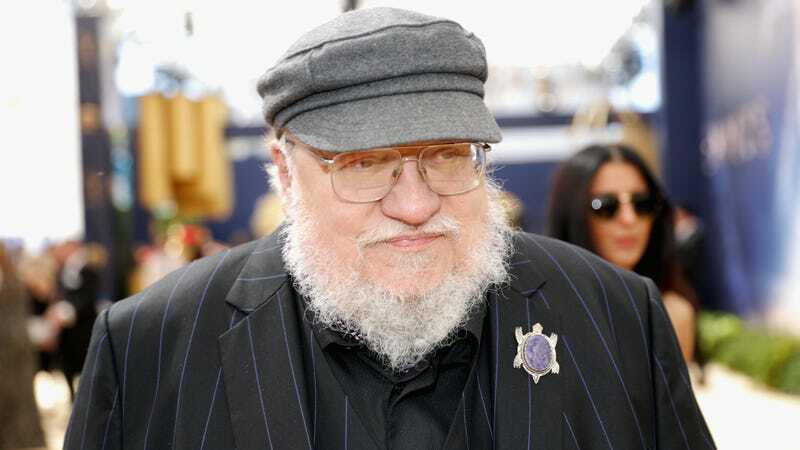 He’s shared sample chapters from his upcoming The Winds Of Winter to satiate the frothing mob, and even gave a middle finger to those who worry he won’t be able to finish A Song Of Ice And Fire before kicking the bucket. In a new interview with The Guardian, however, he’s opened up a bit about just how hard it’s been to slip into his old writing routine when the world’s pounding on your door. Also far ahead? More Game Of Thrones prequels. He recently got a slap on the wrist from HBO for spoiling the apparent title of the network’s first Game Of Thrones spin-off, but that didn’t stop him from dropping a few details about what else fans can expect. Though he notes they’re not greenlit as of yet, Martin says that “at least two” of the five in-development prequels center around Fire And Blood, a canon history of the Targaryen conquest of yore. One wonders if Martin would also like to go back in time these days, back to those blissful, pre-HBO days when the stakes were maybe just a teensy bit lower.